Best Lounge Designing Servicess Professionals, Contractors, Designer, Decorator in India. For catering the variegated needs of our clients, we are deeply engrossed in offering a qualitative array of Lounge Waiting Design. Bringing exclusivity to the walls where concepts are matched to perfection. Bar lounge interior designing has a sophisticated interior designed to thrill the visitors. The sultry and furniture compliments each to create a cozy environment. Subtle lightening effect further enhances the elegance of the space. We are looking for queries from Delhi NCR. Set in a relaxing ambience, accentuated by a conglomeration of frames, sculpture and artwork, this trendy bar invites guests to an evening full of fun. Sip the drink of your choice..
An elaborate effort is made to make a comfortable staff area that is meant to deliver all the requirements meeting the worker's specific tastes and genre of work. The staff area is spacious and has some of the finest contemporary furniture making it all the more exclusive. It is designed in such a manner so as to add charm to the ambiance of the office. Located on the first floor serving variety of International cocktails and mocktails in soothing ambience of discotheque. From Wikipedia, the free encyclopedia. Jump to: navigation, search. The hookah lounge (also called a shisha bar or den, especially in Britain and parts of Canada, or a hookah bar) is an establishment where patrons share shisha from a communal hookah or which is placed at each table or a bar. 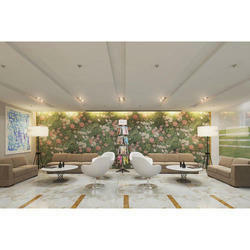 Assisted by hard work of our accomplished personnel, we render New Lounge Opening Services. This service is completed employing the advanced techniques. Our service is known in the market for their timely completion and reasonable prices. Its a part of DEE MARKS HOTEL & RESORT situated 4 KM away from the airport & 3 K.M. from Ambiance Mall Gurgaon on N.H. 8 adjacent to Shiv Murti Rangpuri New Delhi 37. We are ranked amongst the trusted firms engaged in providing a wide range of interior services for restaurant and cafes interior. Design Hut - is a one stop solution provider for Lounge designing service .We offer a complete range of high end interior design and decoration services for both commercial and hospitality projects.